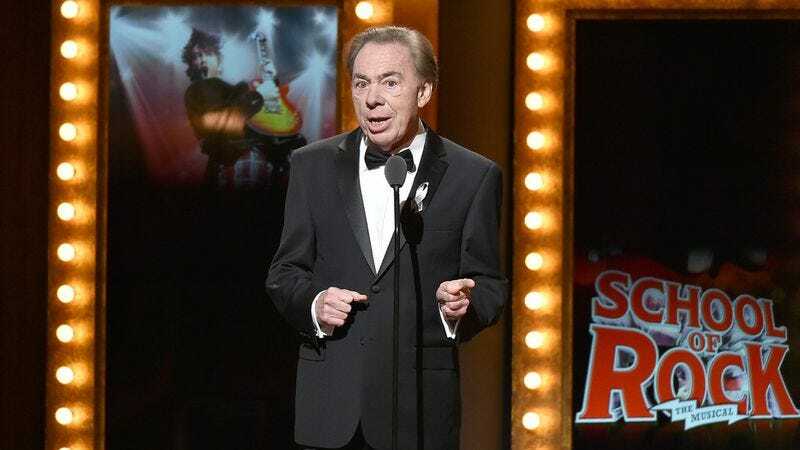 Sir Andrew Lloyd Webber is good at a great many things: Writing gorgeous melodies, selecting odd subject matter for musicals, and providing fodder for Paul F. Tompkins’ impressions. But despite having judged several reality TV talent competitions, Webber’s eye for spotting future stars isn’t entirely fine-tuned. The famed composer stopped by the British morning show Good Morning Britain to promote the West End run of his musical adaptation of School Of Rock. And one of the fun factoids he revealed is that he failed to discover Rihanna twelve years ago. It’s all meant in a jovial way, with Webber calling his failure to officially discover/manage Rihanna “not a story I’m proud of.” But considering the British literally owned and exploited Barbados for 341 years, maybe comparing 16-year-old Rihanna to a souvenir isn’t quite the best look for an aristocratic British man. Nevertheless, hosts Piers Morgan and Susanna Reid are more than happy to laugh along at Webber’s managerial failure.